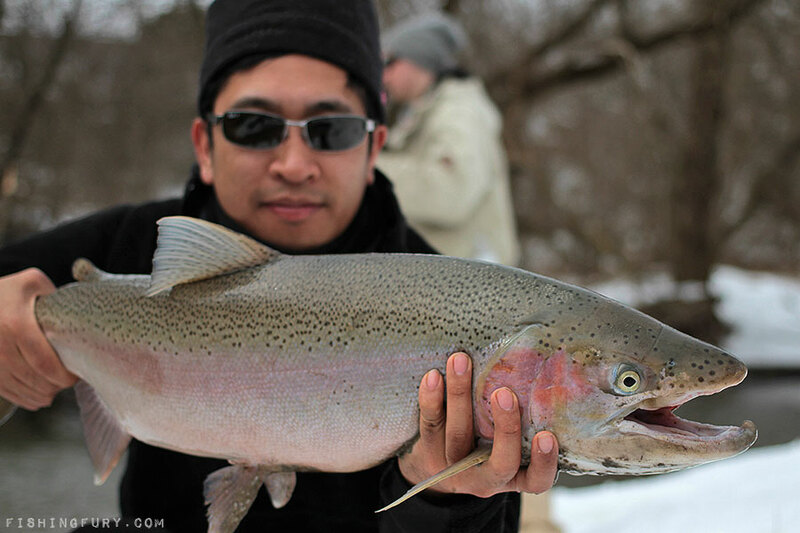 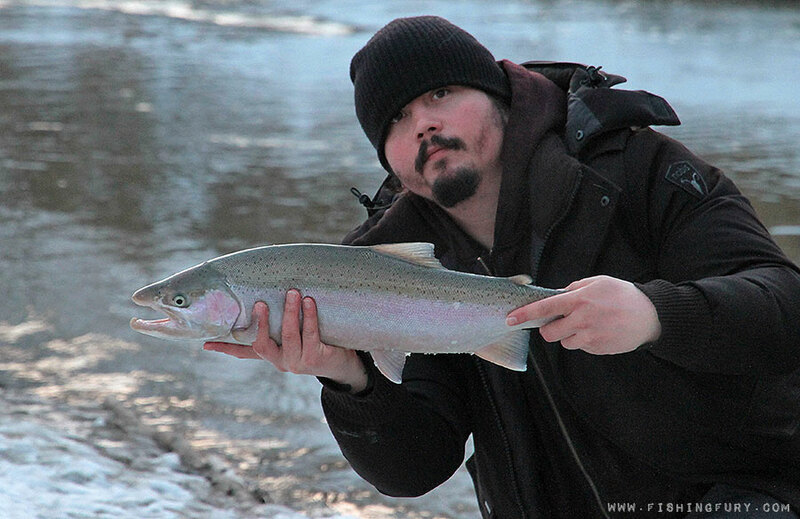 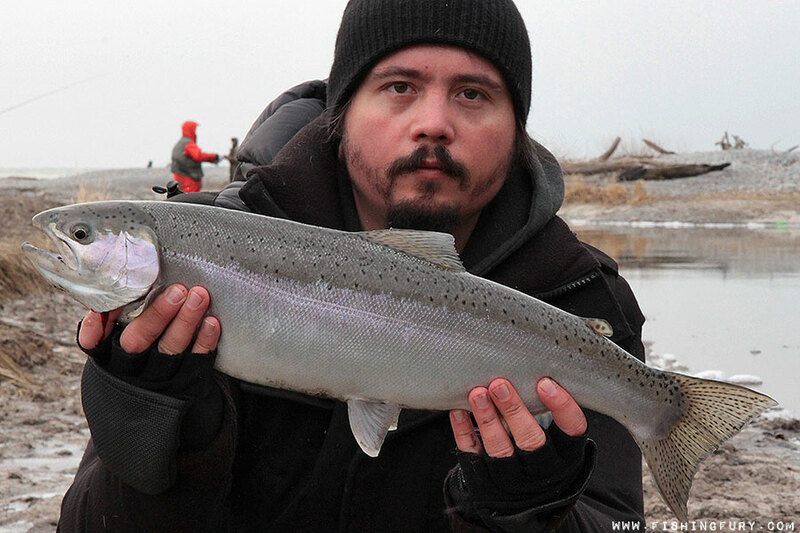 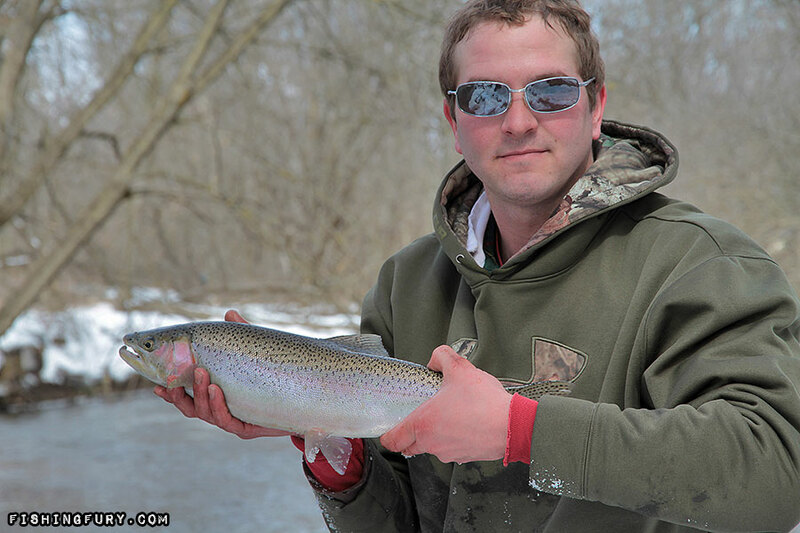 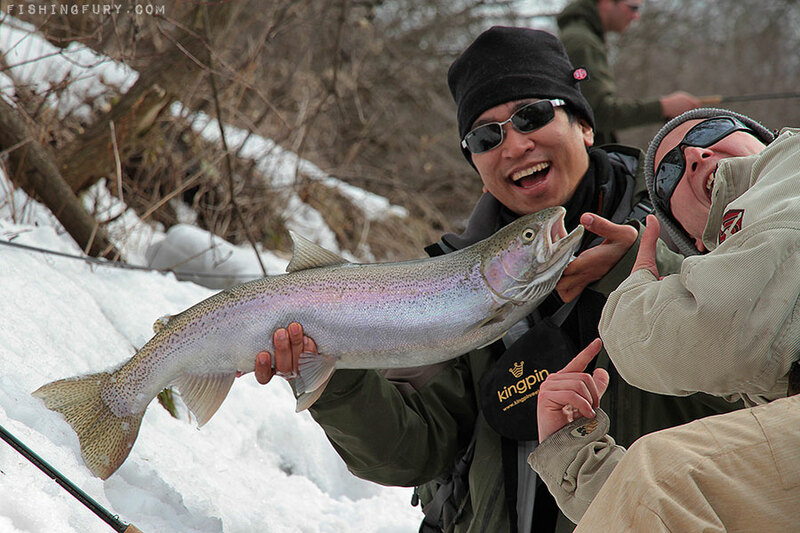 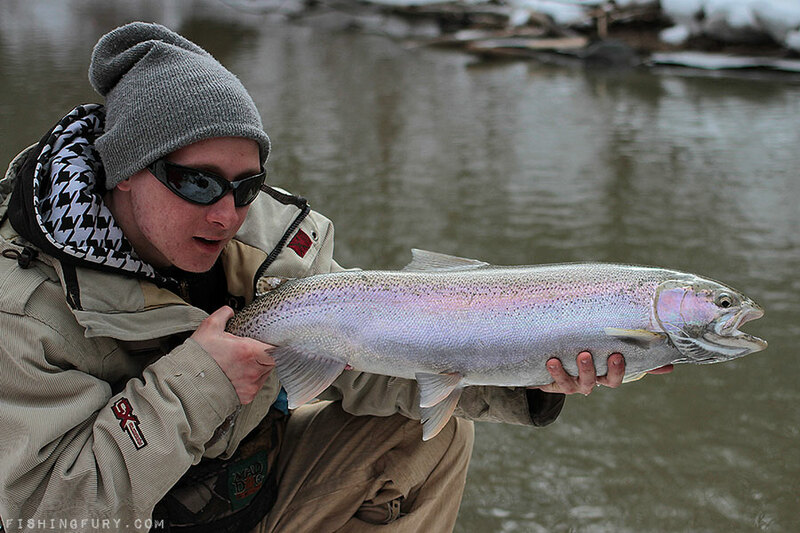 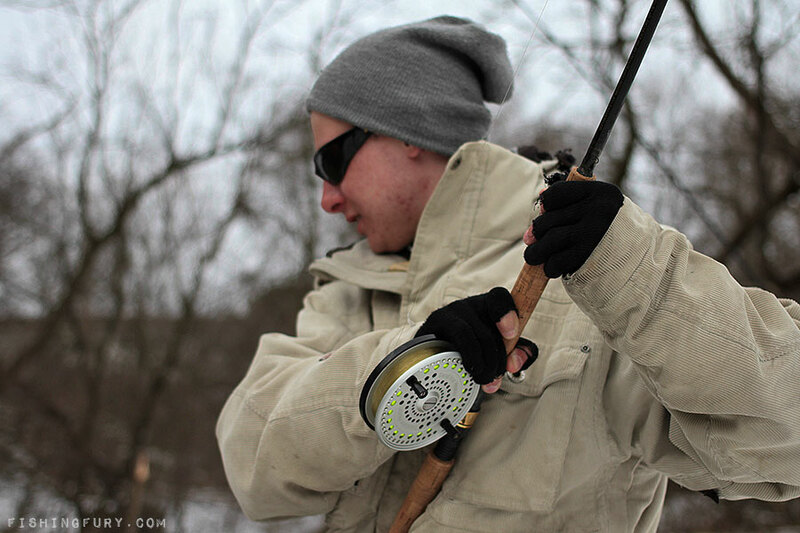 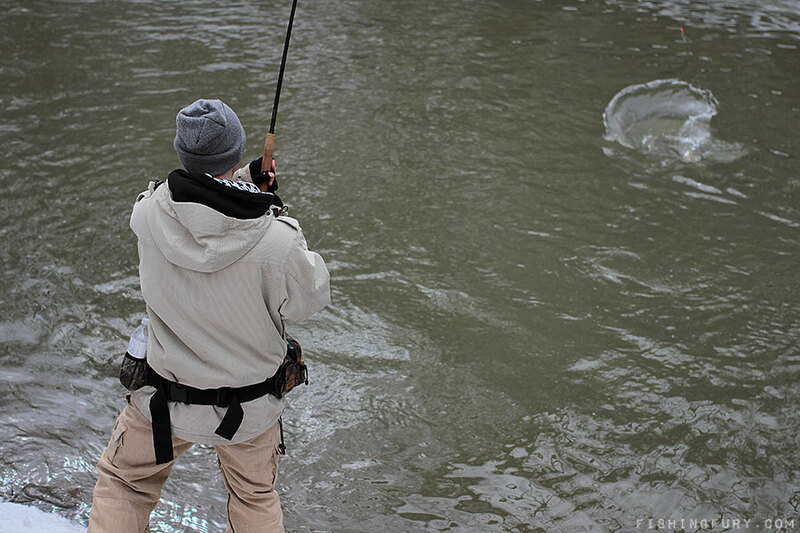 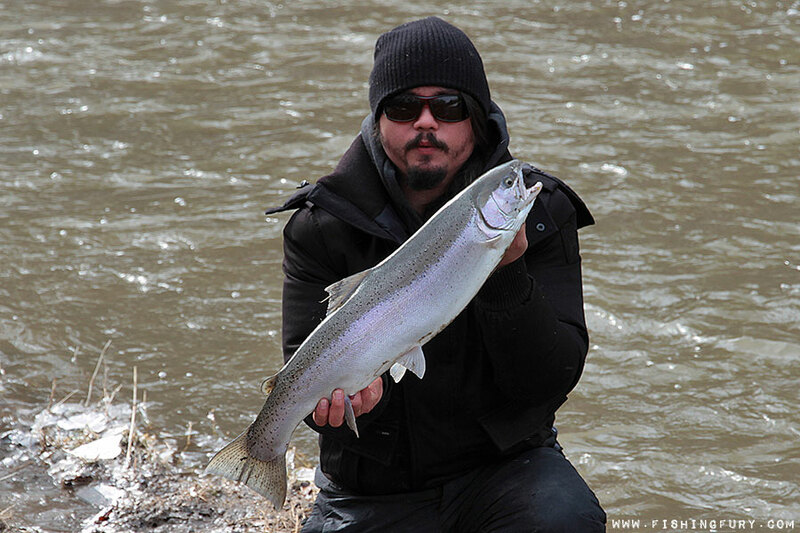 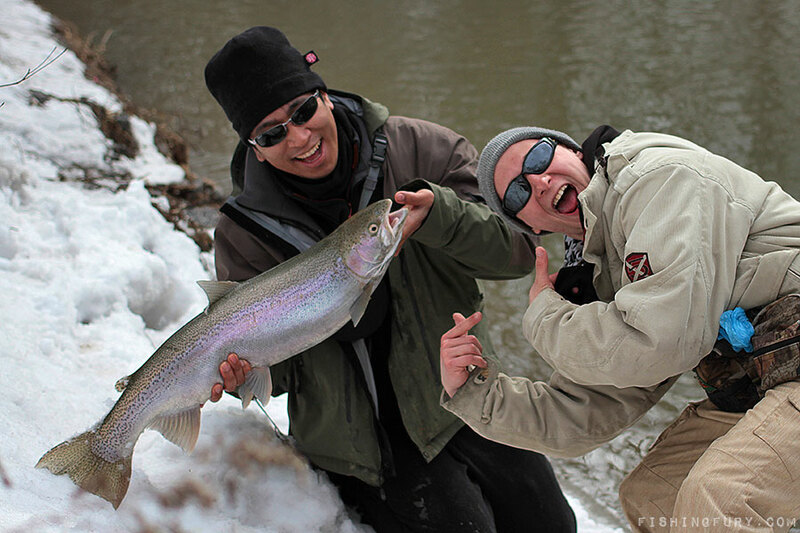 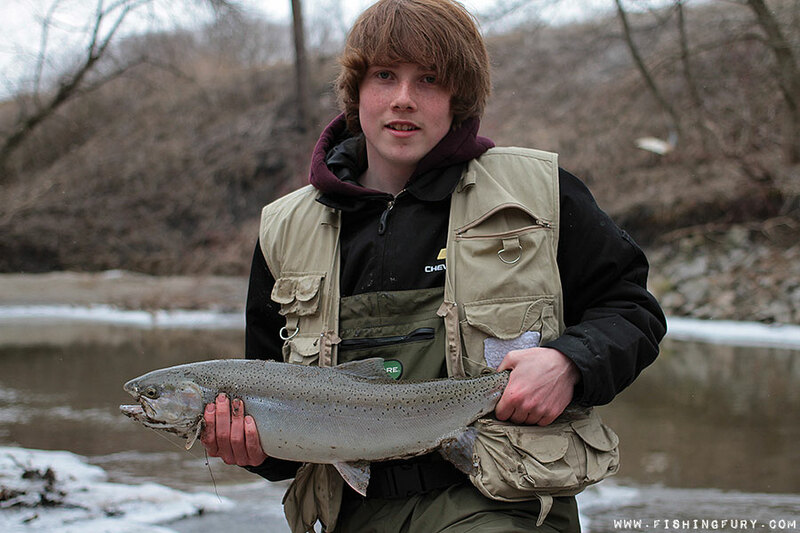 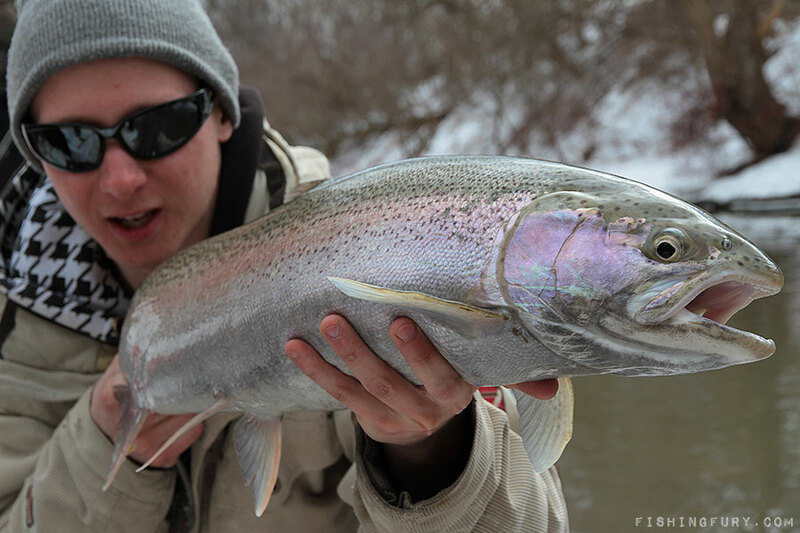 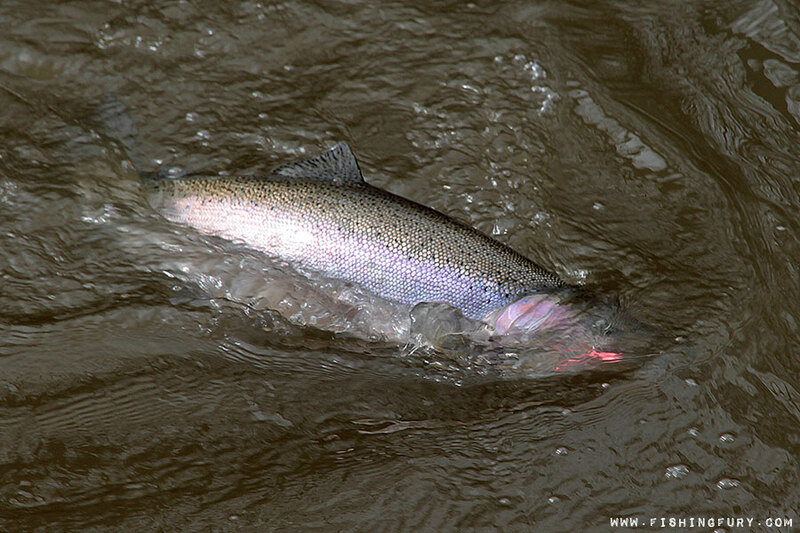 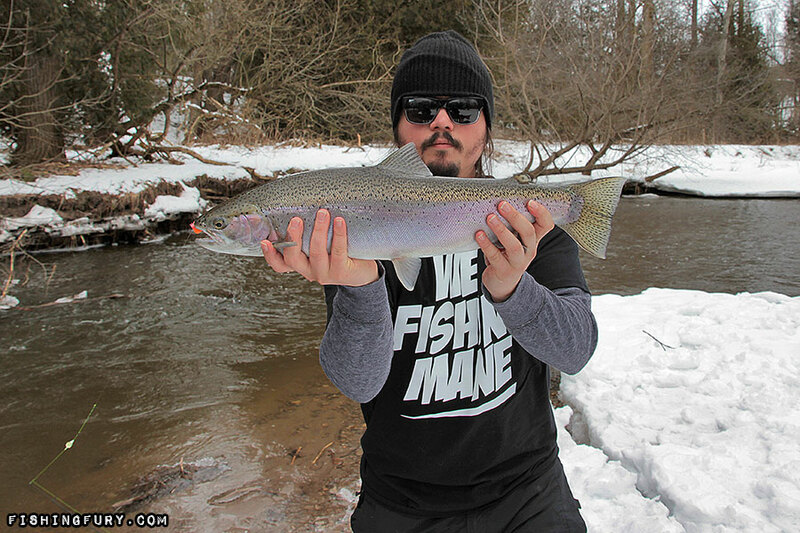 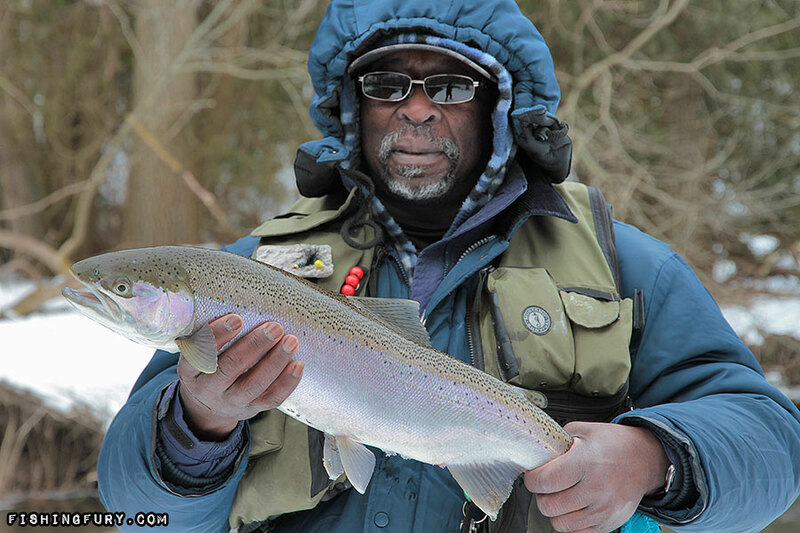 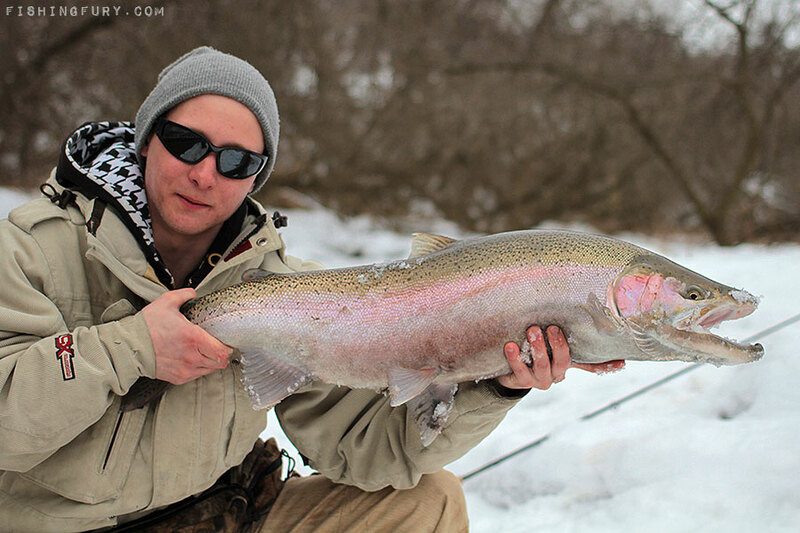 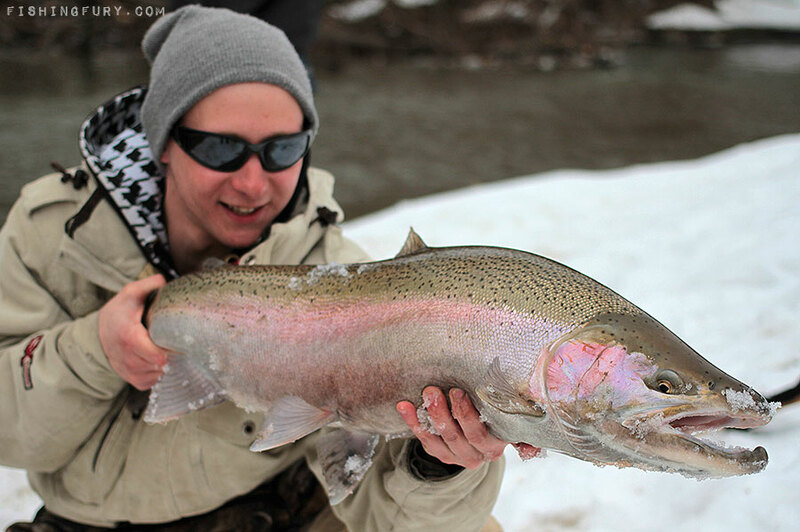 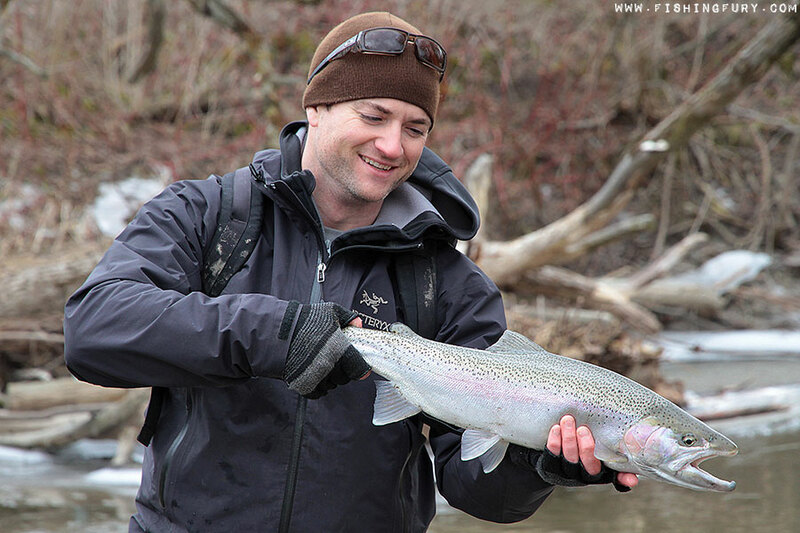 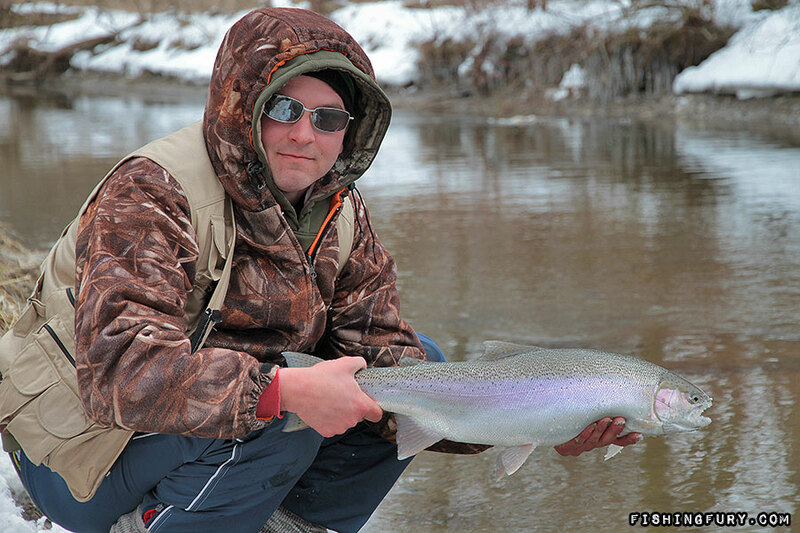 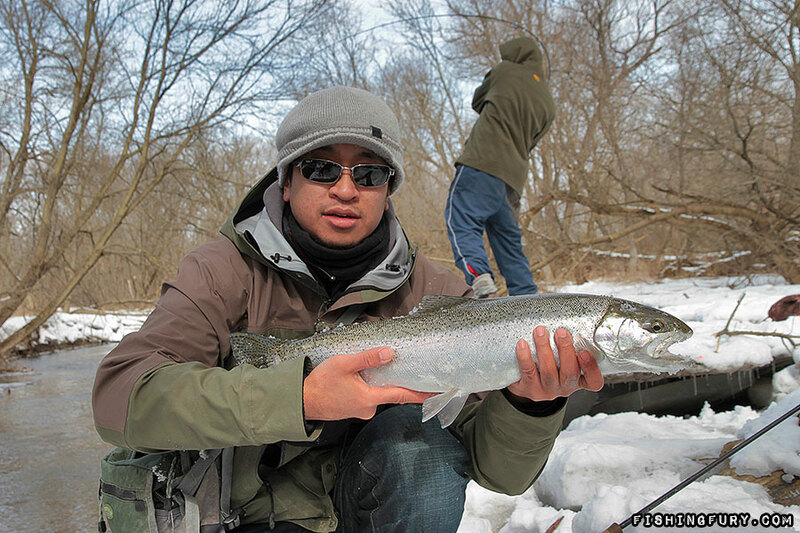 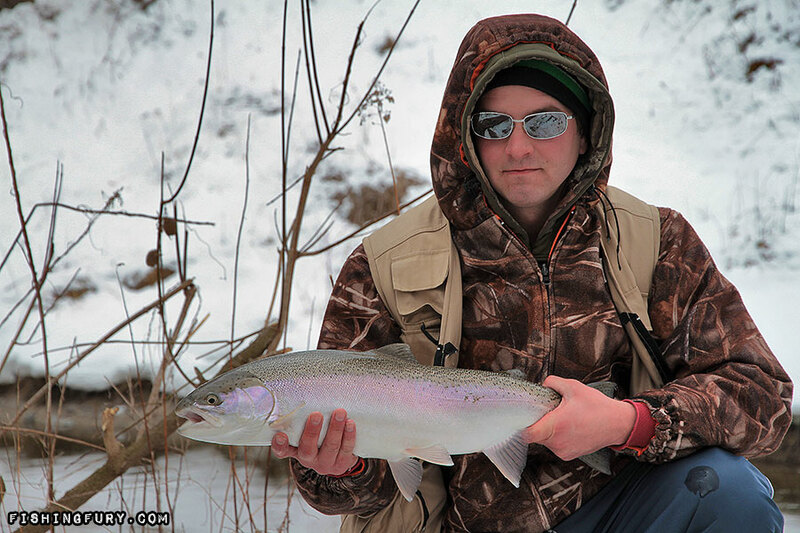 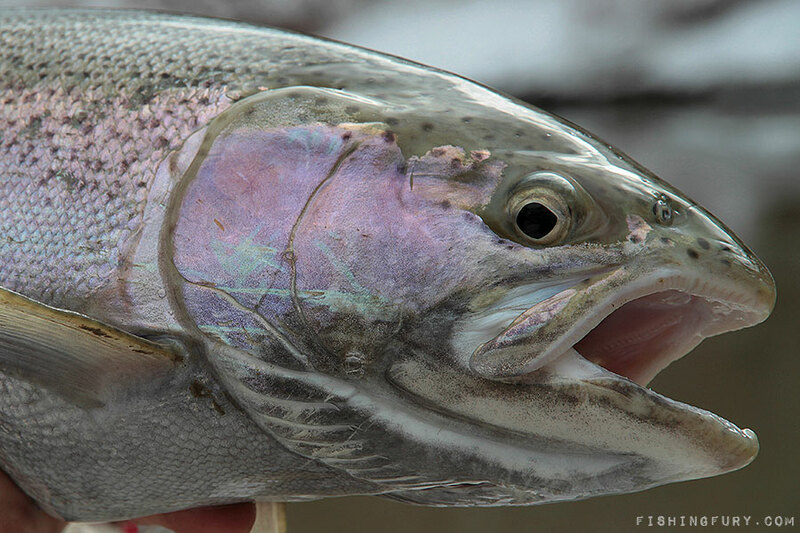 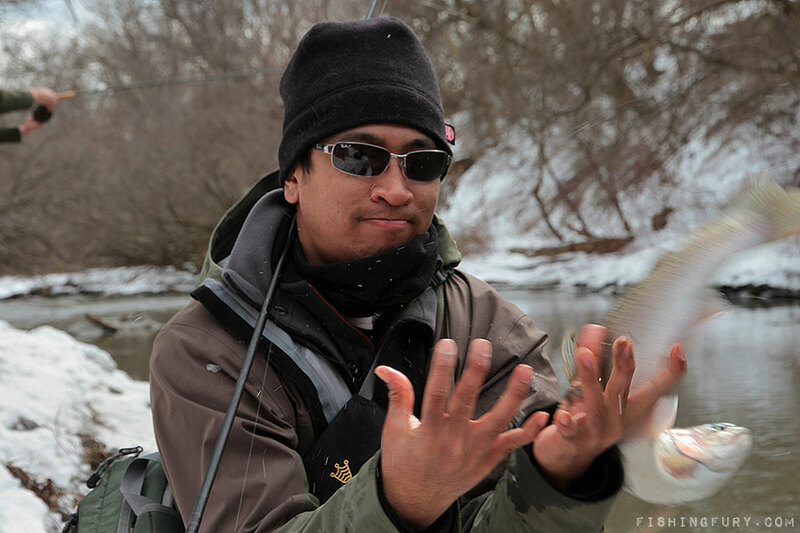 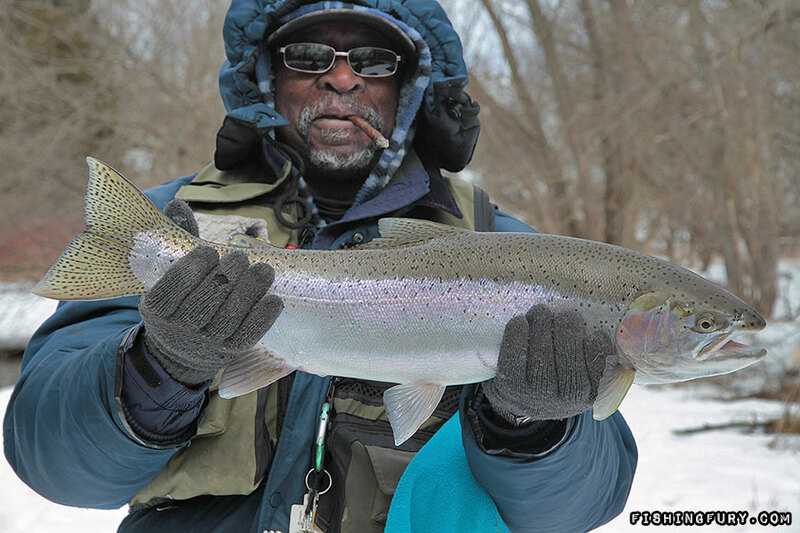 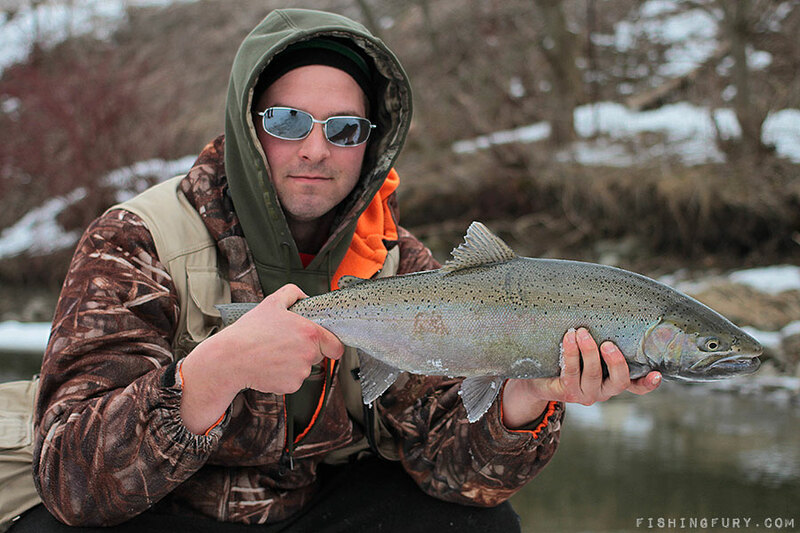 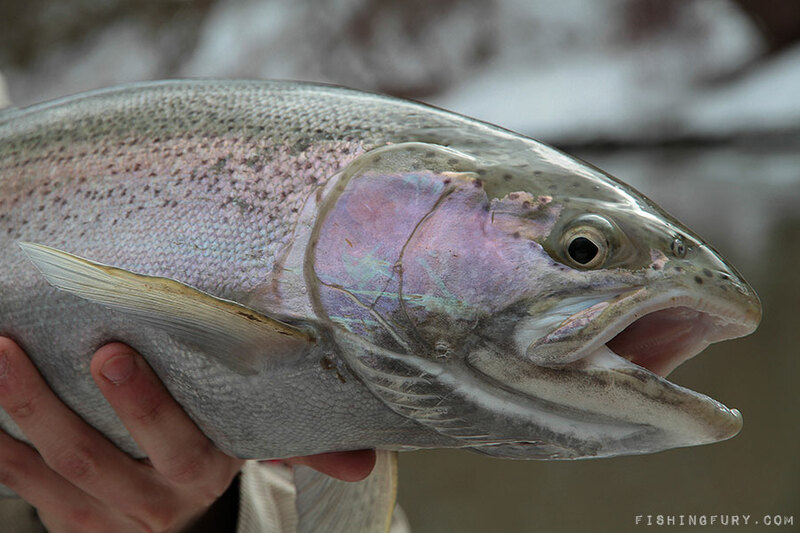 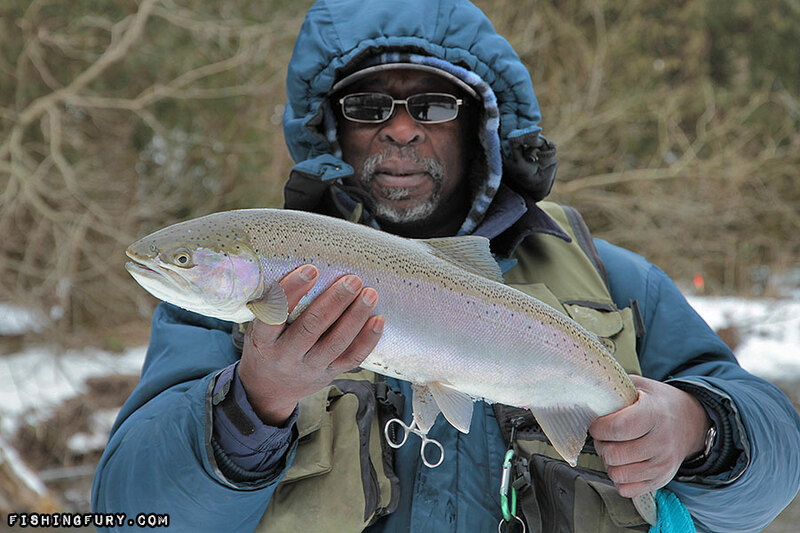 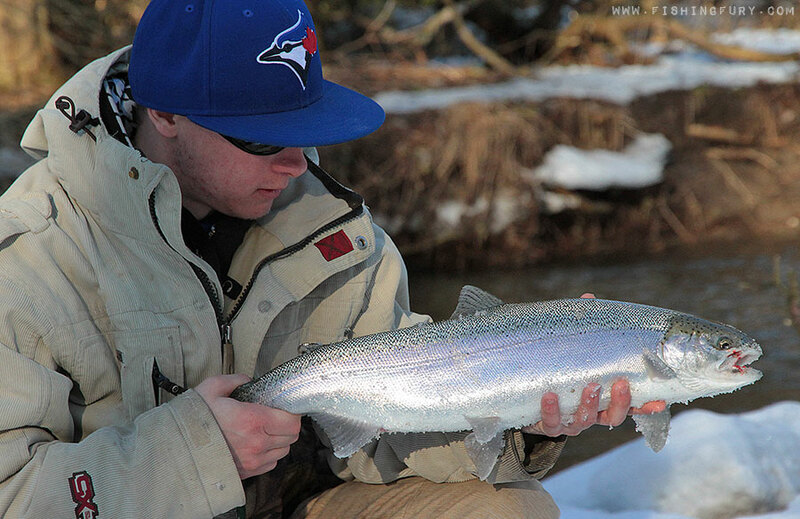 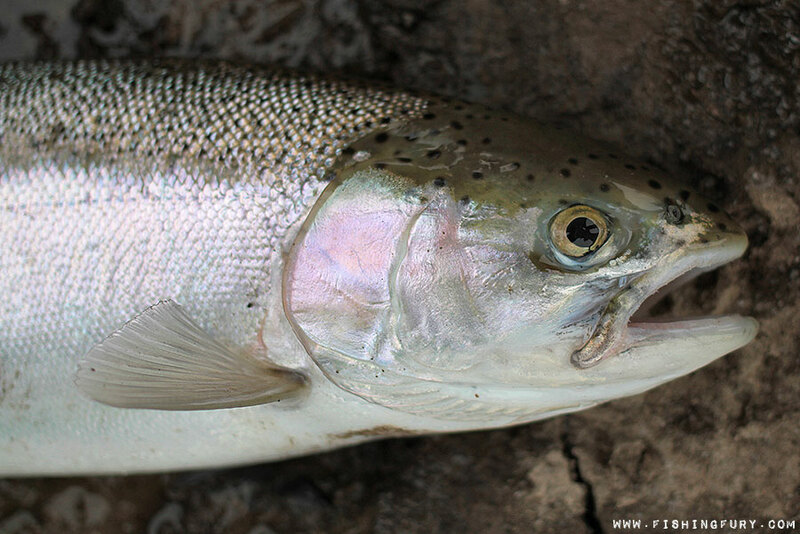 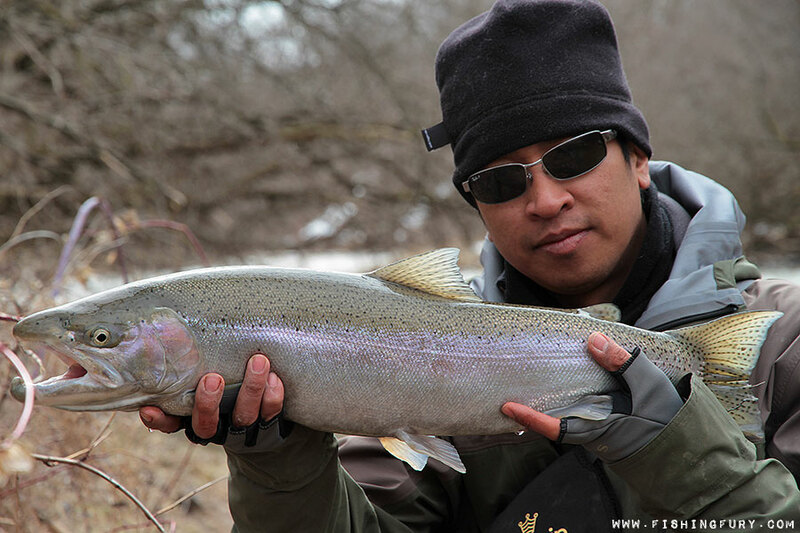 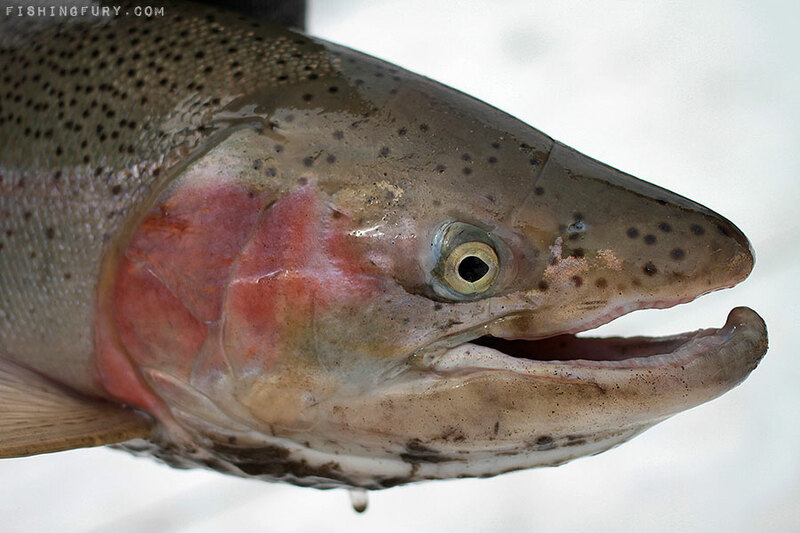 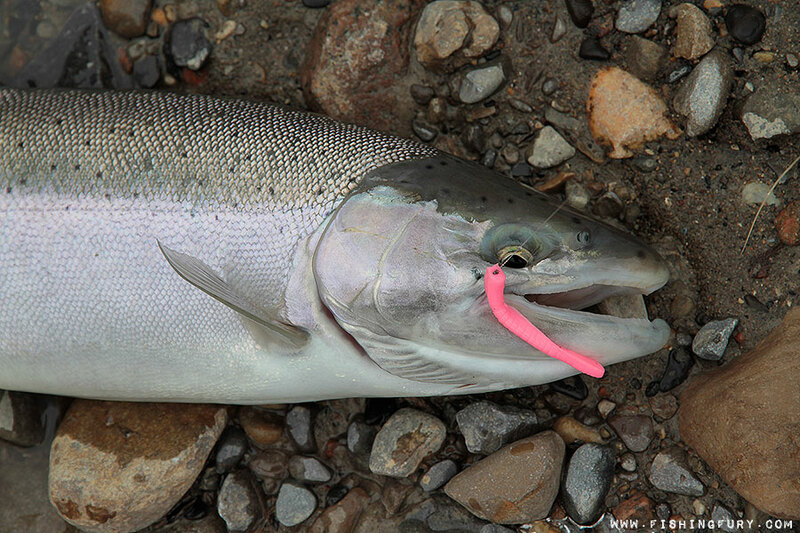 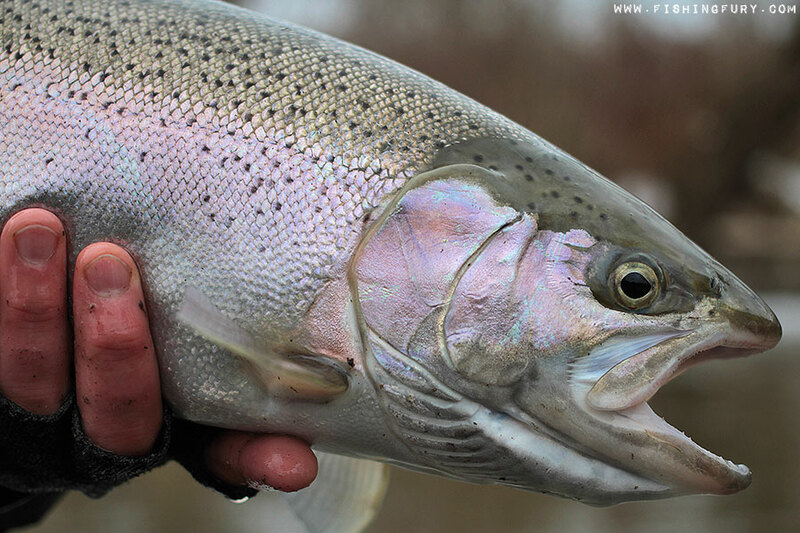 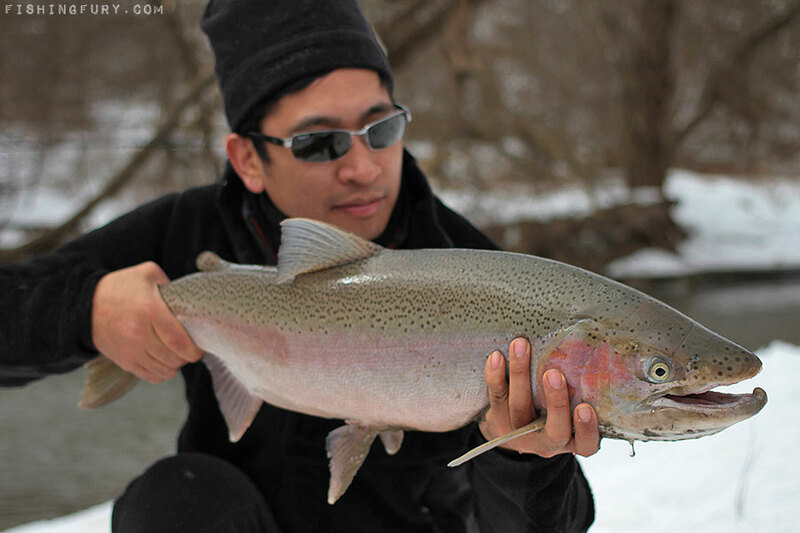 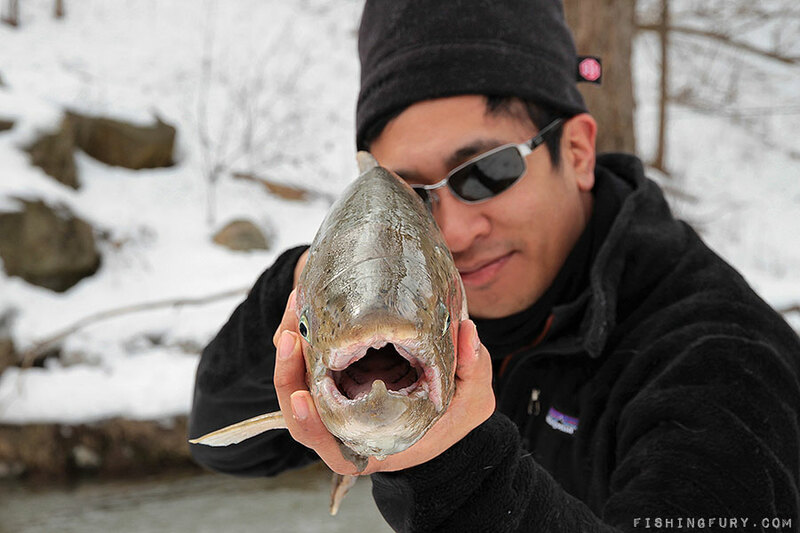 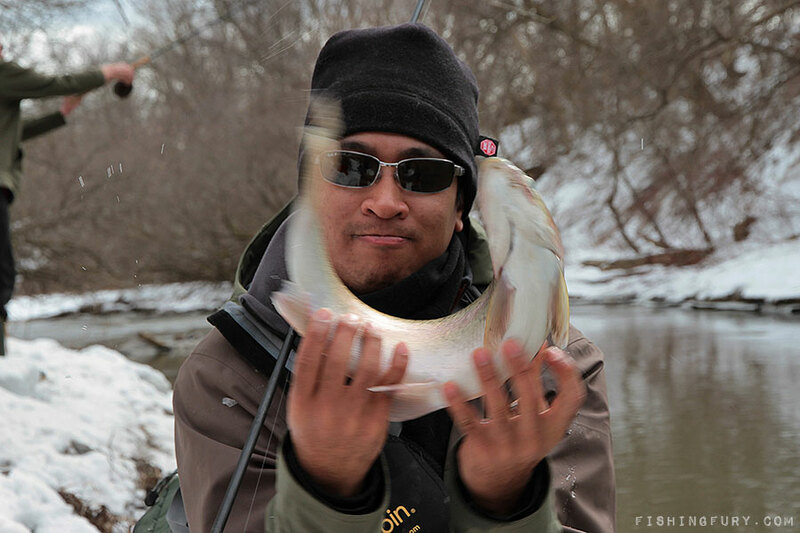 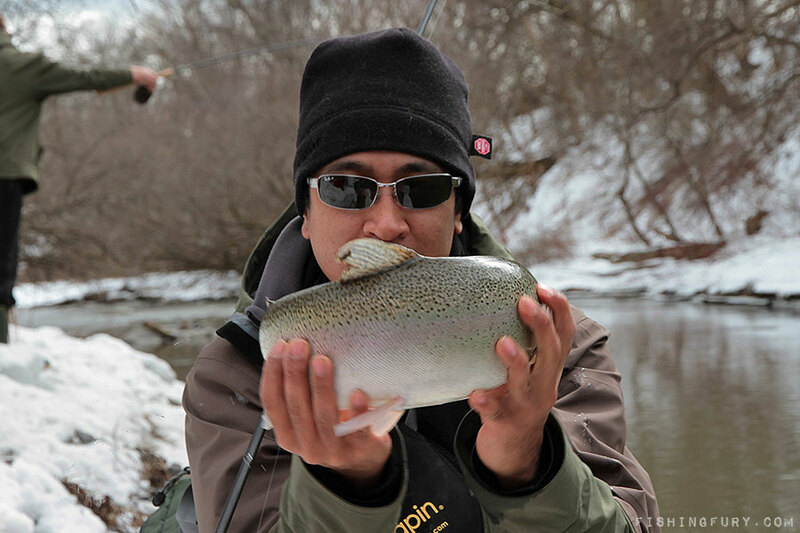 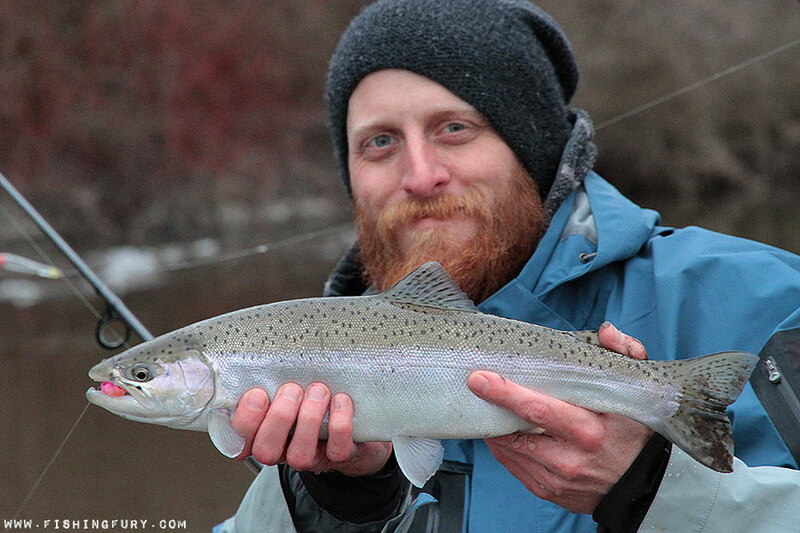 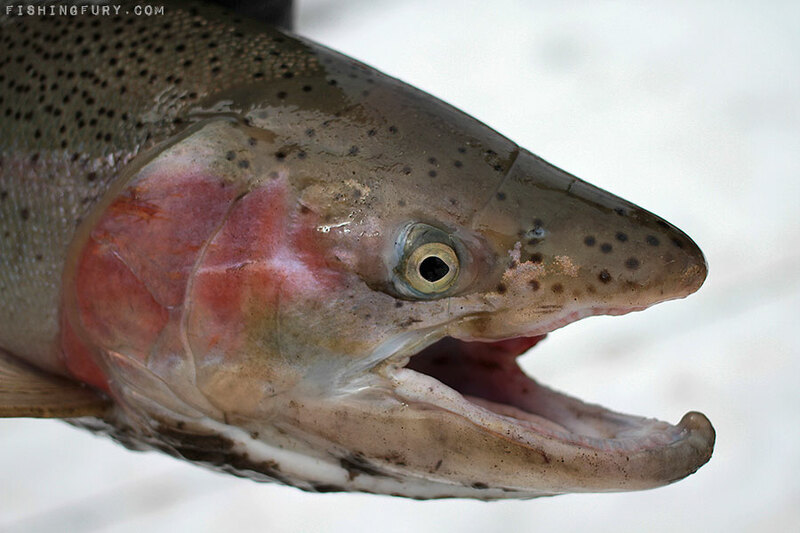 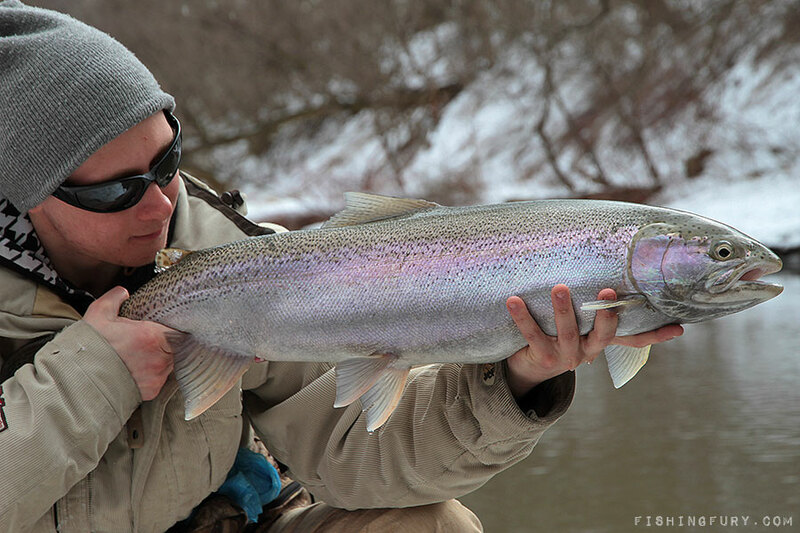 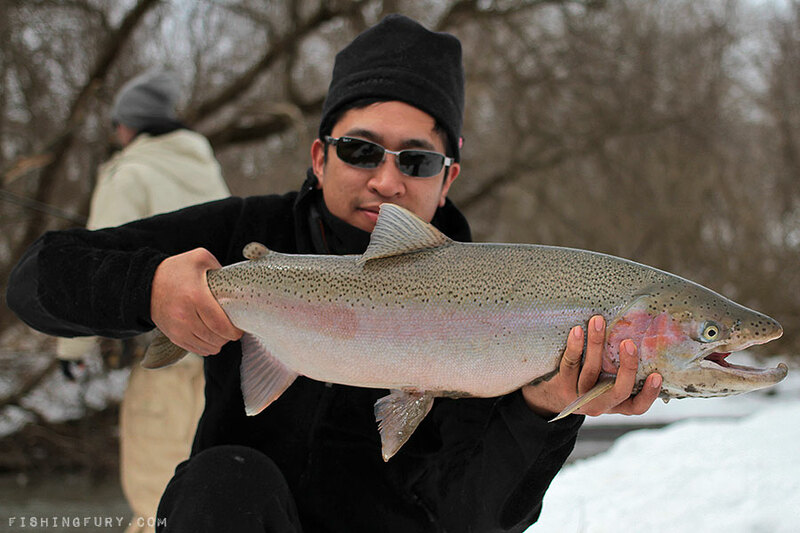 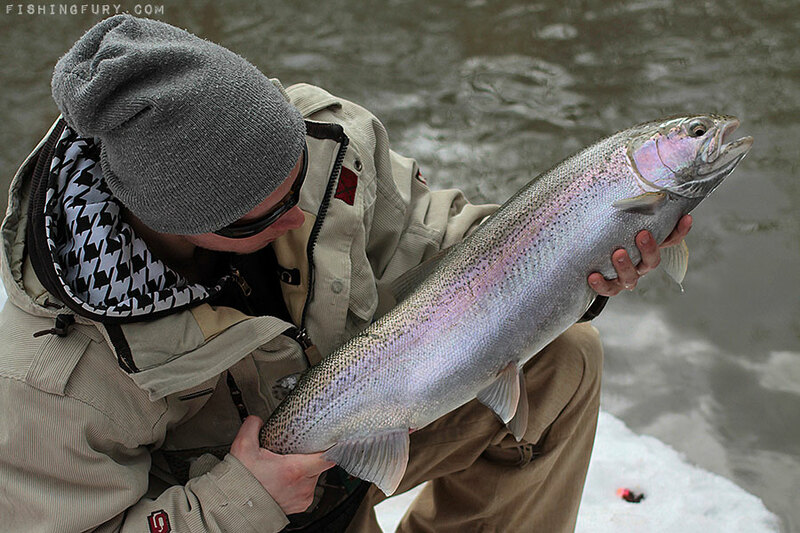 Winter Steelhead Fishing | Fishing Photo Gallery | FISHING FURY - A Fishing Blog with Attitude! 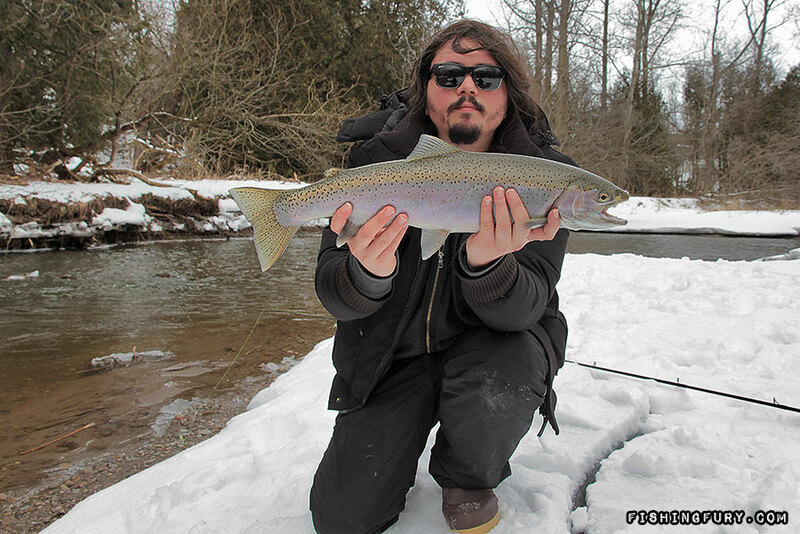 After a winter warming trend a few friends and I woke up early to travel east and fish some Lake Ontario tributaries. 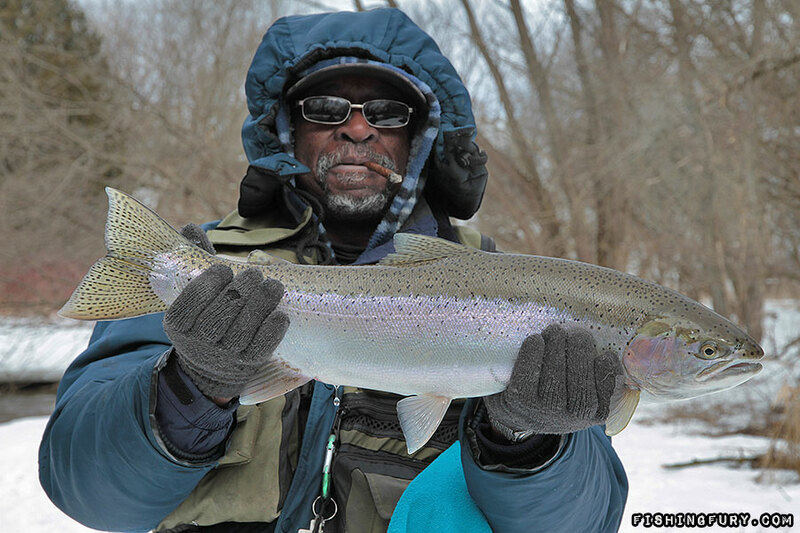 The morning’s temperatures were very low and the bitter wind froze up our guides and fingers. 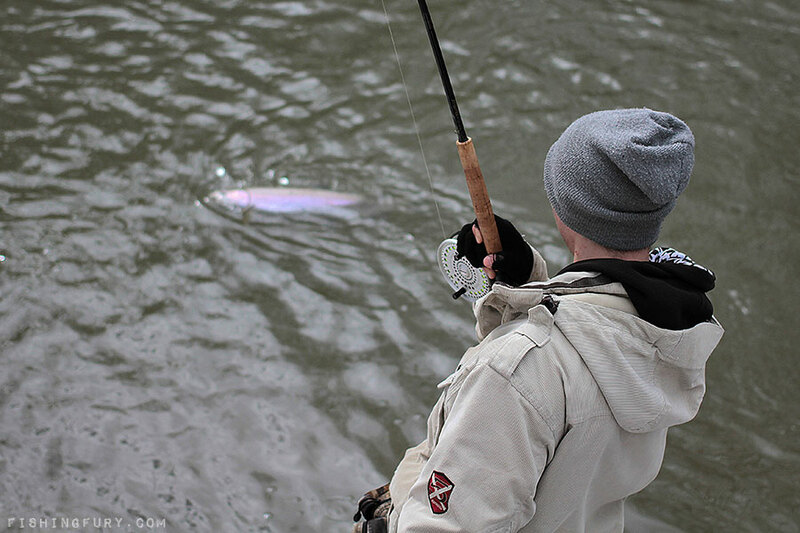 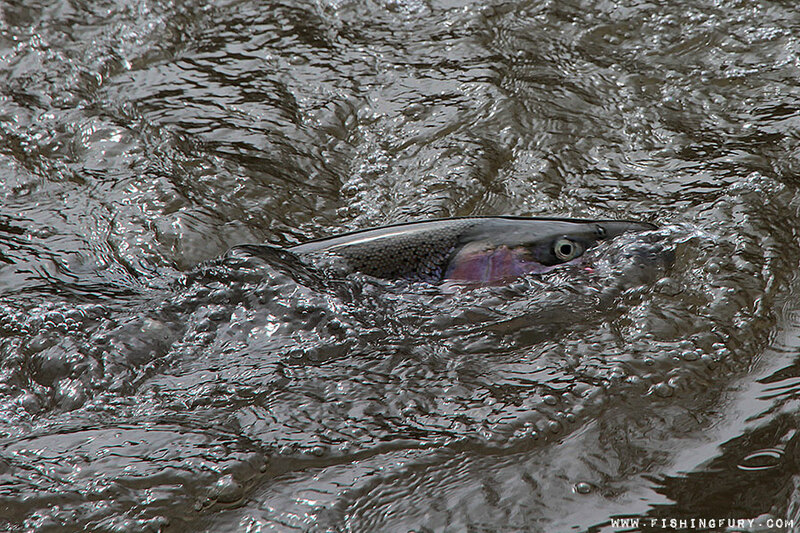 Once the clouds broke and the sun came out it wasn’t long until we discovered the pattern and areas where the steelhead were hiding. 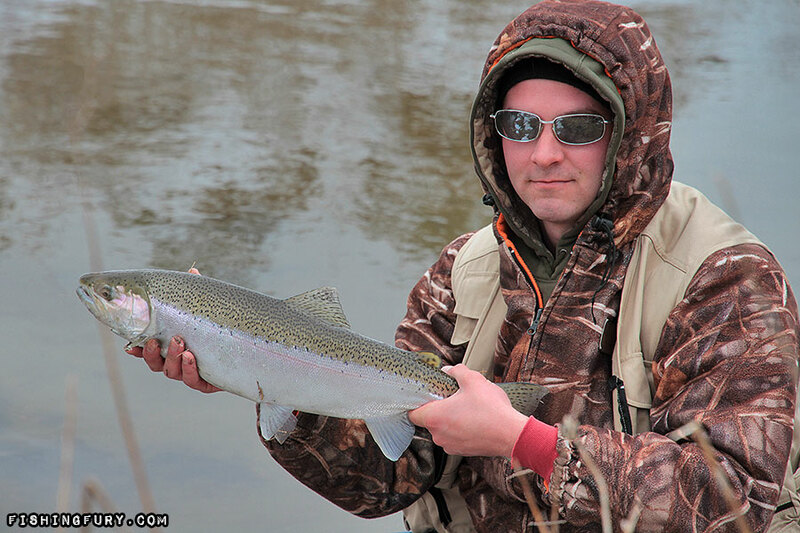 * Updated March 6th with 25 new photos! 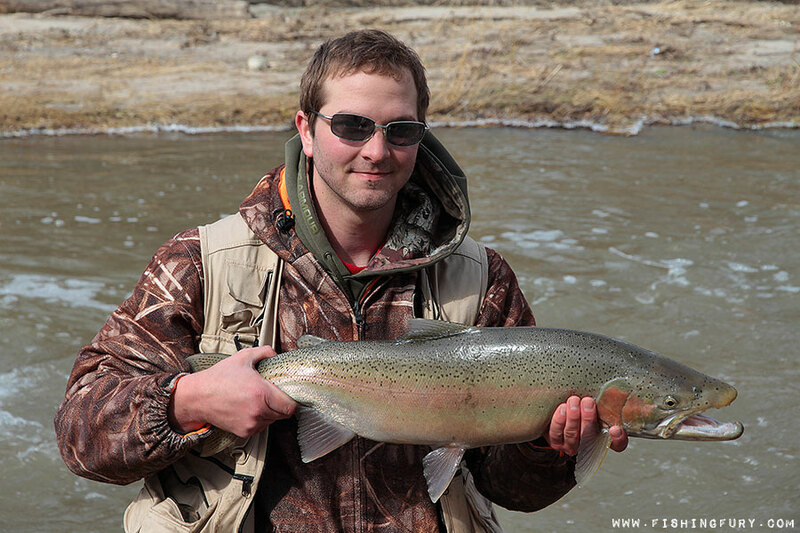 * Updated March 12th with 2 new photos! 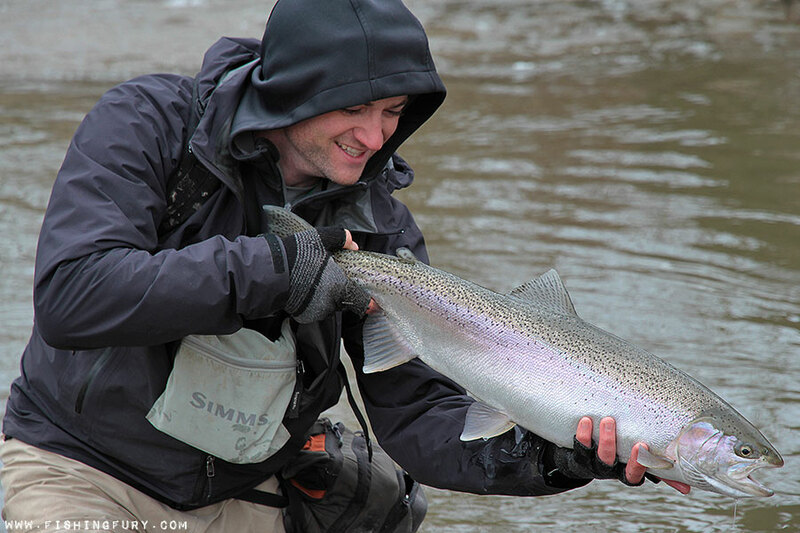 * Updated March 19th with 16 new photos! 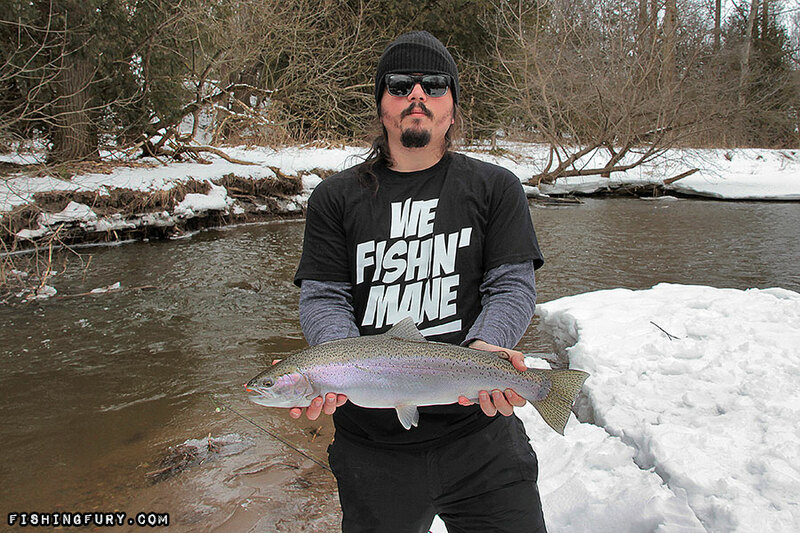 Get your WE FISHIN’ MANE t-shirt here! 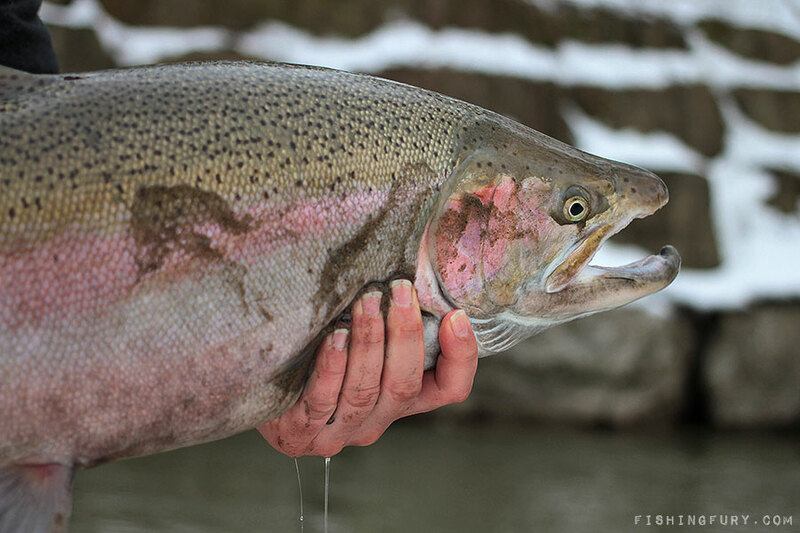 Those are some beautiful looking fish. 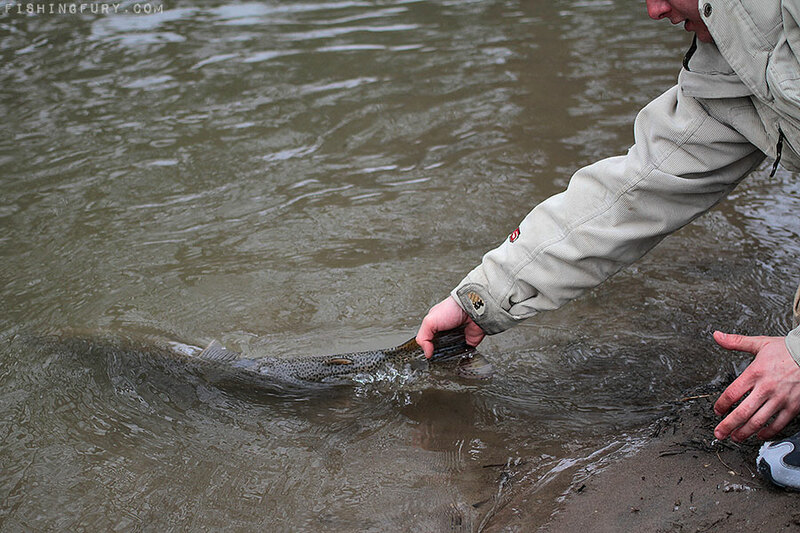 Did u keep any or all CPR ?? 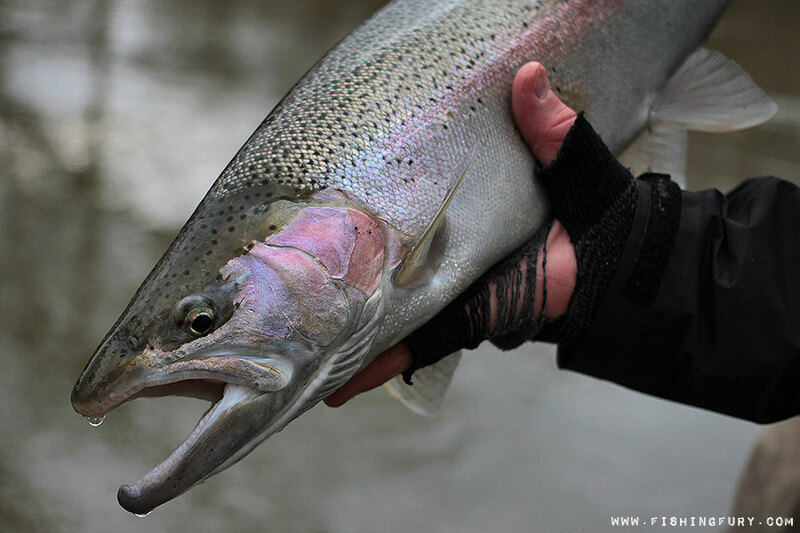 All were catch and release. 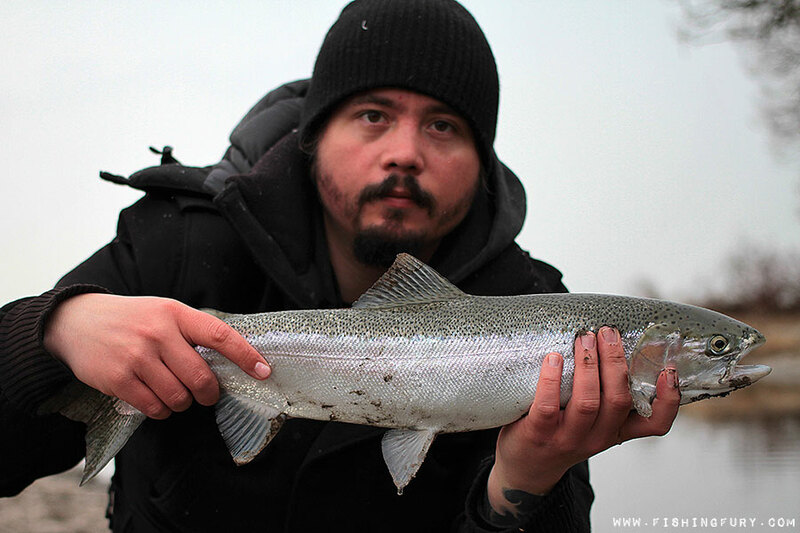 haha it was a great day I didn’t get a lot of fish today compared to last couple days but they were all real nice looking and great fighters!